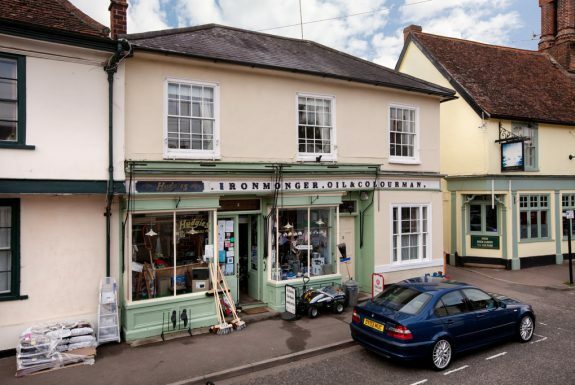 Clare is an historic market town nestling within undulating countryside in south Suffolk alongside the river Stour. 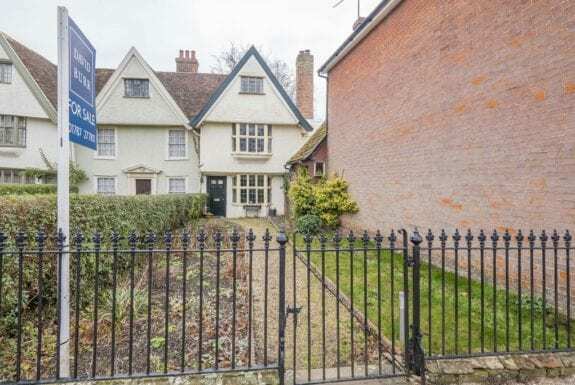 Famous for it 13 century Augustine Priory it remains a thriving place to live and work offering a wide range of facilities including cafes, public houses, doctors, restaurants, an antiques auction house and excellent schools. Clare Country Park and Clare Castle ruins are renowned visitor attractions leading to a network of stunning countryside walks alongside the river Stour. Further afield, the town is conveniently located for the historic Bury St Edmunds, Saffron Walden and Cambridge, world famous for its University and science park whilst Stansted Airport is approximately 35 minutes away. Nick Mills joined David Burr in 2003 having moved back to Suffolk from Canary Wharf. A member of the National Association of Estate Agents and Association of Residential Letting Agents, Nick grew up in the Bury area and attended Culford School before moving to London and as a keen cyclist when he’s not driving around the countryside you might well see him puffing uphill in his David Burr jersey! This exclusive development of only five individual homes is situated in a quiet, tucked away village location backing onto open countryside. 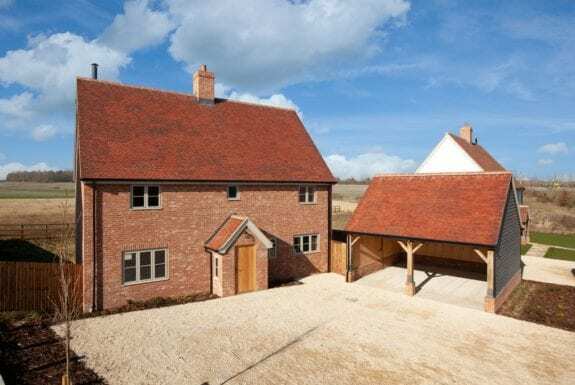 The design blends traditional Suffolk architecture with modern living and each property is finished to a high standard including bespoke kitchens and luxurious bathrooms. Externally each property enjoys private parking and a garage with landscaped gardens. OPEN HOUSE SATURDAY 13TH APRIL BETWEEN 10AM AND 11.30AM. A charming and well-presented 3 bedroom detached house situated in extensive grounds measuring just over 1 acre with a range of outbuildings backing onto an attractive stream with views across open countryside beyond. 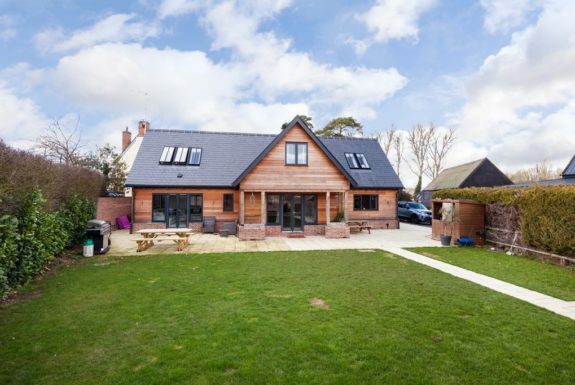 The property offers a range of modern luxuries including an open plan kitchen, garden room and stylish bathroom and is situated within walking distance of amenities in this highly sought after and popular Suffolk Village. This exclusive development of only five individual homes is situated in a quiet, tucked away village location backing onto open countryside. 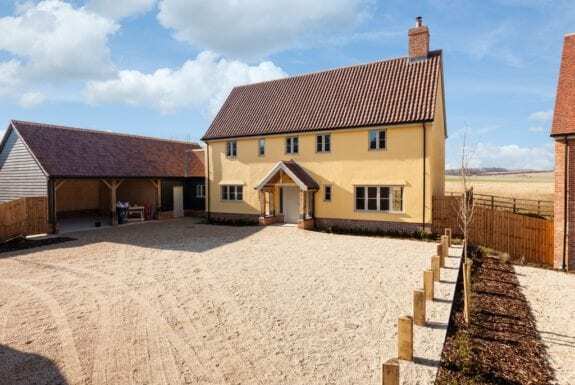 The design blends traditional Suffolk architecture with modern living and each property is finished to a high standard with bespoke kitchens and luxurious bathrooms. Externally each property enjoys private parking and a garage with landscaped gardens. A Grade II Listed detached thatched cottage situated in an idyllic edge of village location with extensive grounds measuring in all about 1.2 acres and featuring a range of outbuildings including a detached annexe, home office, stable and workshop, all abutting open farmland. This substantial 2,156 sq.ft property is situated in a rural location enjoying far reaching views over open countryside. The property offers well-proportioned tastefully presented living accommodation including a particularly impressive sitting/dining room, whilst being set within large mature gardens measuring 0.27 of an acre. This substantial semi-detached Victorian property is situated on the outskirts of Clare overlooking open countryside. The property offers in excess of 2,000sq.ft of living accommodation and has retained many original period features whilst being set within large mature gardens with parking and planning for a garage. In all about 0.5 of an acre. 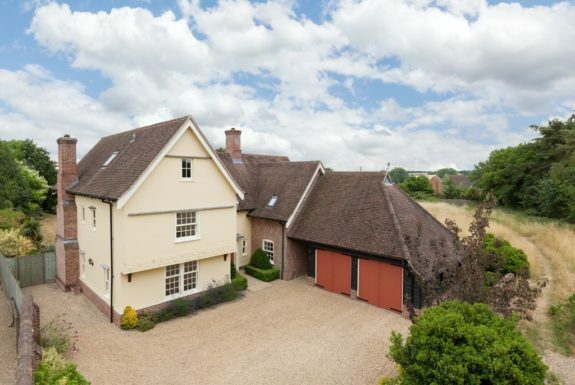 This Grade II Listed Georgian property is situated in a sought after Suffolk village within walking distance of a range of amenities including Primary School, Doctors Surgery and Post Office/Shop. The property has been extensively renovated in recent years to create a delightful period home blending a range of character features including attractive flooring, wood burning stove and sash windows with modern kitchen and luxurious bathroom. 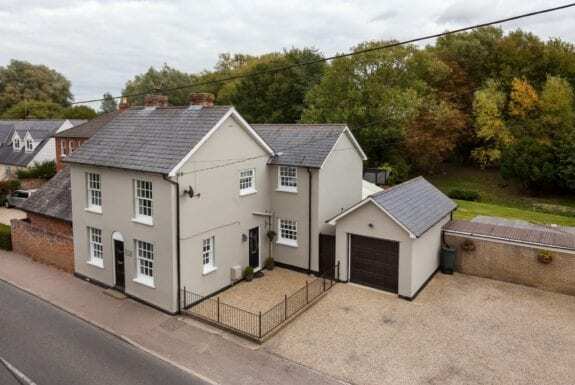 Further benefits include delightful gardens, with potential building plot (subject to the necessary planning consent) plenty of parking and a part conversion of the garage to create The Pub. This charming detached cottage is situated on the outskirts of the village enjoying views over open countryside to both front and rear abutting the River Stour. The property has retained many original period features including inglenook fireplaces and exposed beams and sits within large mature gardens with off street parking and a detached garage. This charming Grade II Listed detached cottage is situated in the heart of the village convenient for local amenities. 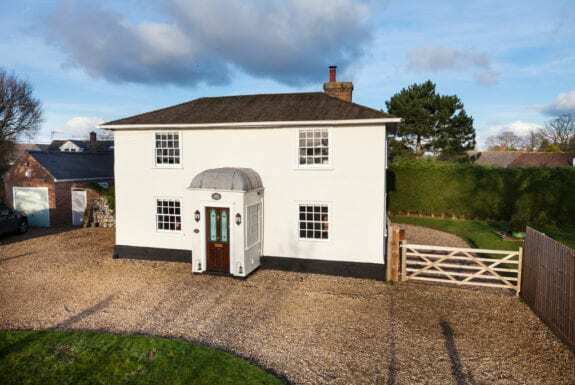 The property has retained many original period features and offers a flexible layout including a ground floor bedroom and sits within delightful mature gardens with ample parking, garage and carport. A circa 2,000 sq.ft 4 bedroom detached chalet house requiring 'finishing', the property has undergone some fairly extensive renovation works in the past few years including a new heating system, major electrical work, reconfiguration on the ground floor to include an open plan kitchen/breakfast room and utility/shower room, but still offers the opportunity for the buyer to finish off the property. The first floor still needs reconfiguring and improvement works and the garage, formally a 1 bedroom annexe which could easily be reinstated. 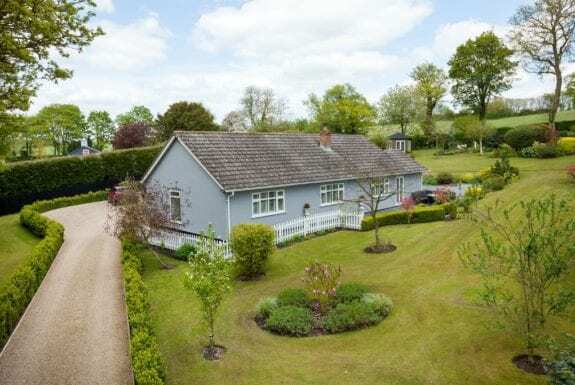 The property sits in a charming plot with an extensive driveway providing parking for several vehicles and an attractive front garden and a generous rear garden backing onto a small wooded copse. A spacious well-presented detached family home on the sought after 'Heights Development' benefiting from off road parking and attractive gardens situated on an enviable corner plot with expansive frontage. A generously proportioned 4 bedroom, 2 reception detached property situated in a quiet cul-de-sac with ample off road parking, double garage and generous gardens and offers scope for further improvement. 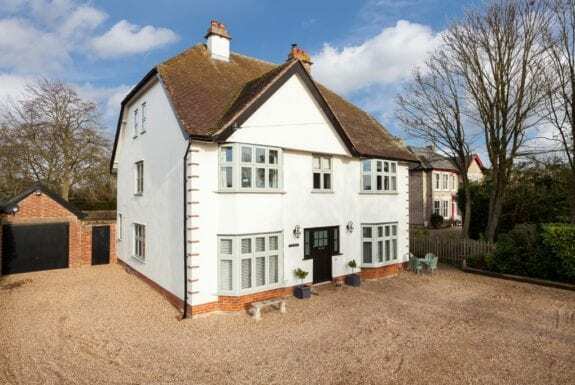 This three-storey village house has a particularly elegant façade and enjoys wonderful views over the village green. 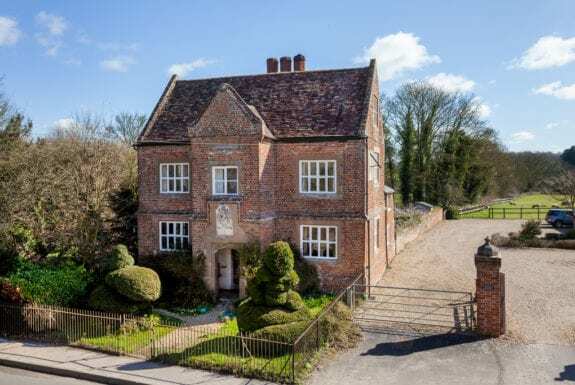 The property is offered in good decorative order throughout and exceptional character (inglenook fireplace, exposed Oak floorboards, wood panelled walls, leaded glass windows etc). 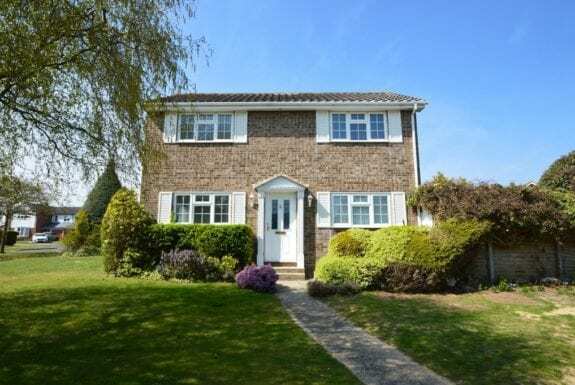 Further benefits include gas fired heating, a charming garden and no onward chain. 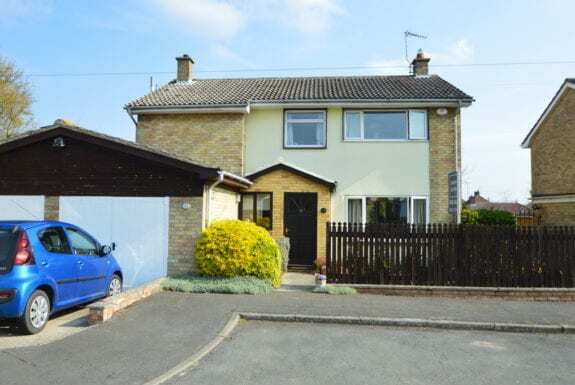 This detached 4 bedroom property is situated in a sought after location convenient for amenities in Clare. The property offers well-proportioned living accommodation and benefits from off road parking with a single garage and enclosed rear gardens. 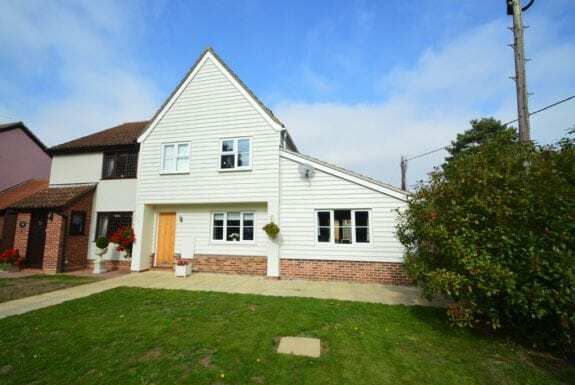 This tastefully presented and recently modernised semi-detached property is situated in a sought after location within walking distance of amenities. The property offers well-proportioned living accommodation including a particularly impressive kitchen/dining room and sits on a generous plot with front and rear gardens, off road parking and a single garage.